PDF Pattern. 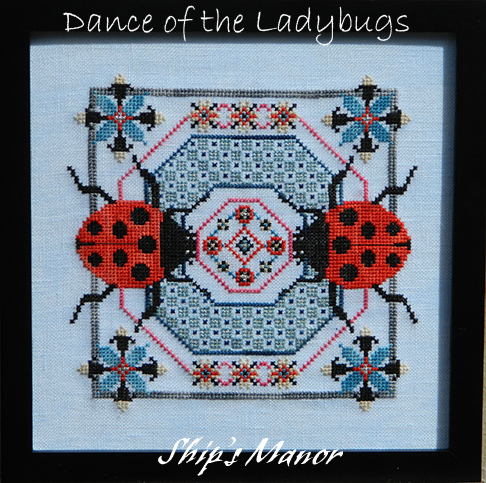 Stitch Count: 131x131 This design uses 3 colors of Ship's Manor thread and Mill Hill Beads. You will need 2 skeins of each color and 1 package of each beads. The colors used are: Mummy Wraps, April Showers and Dragon Isles. The Mill Hill beads are: 00561, 02097 and 03021. 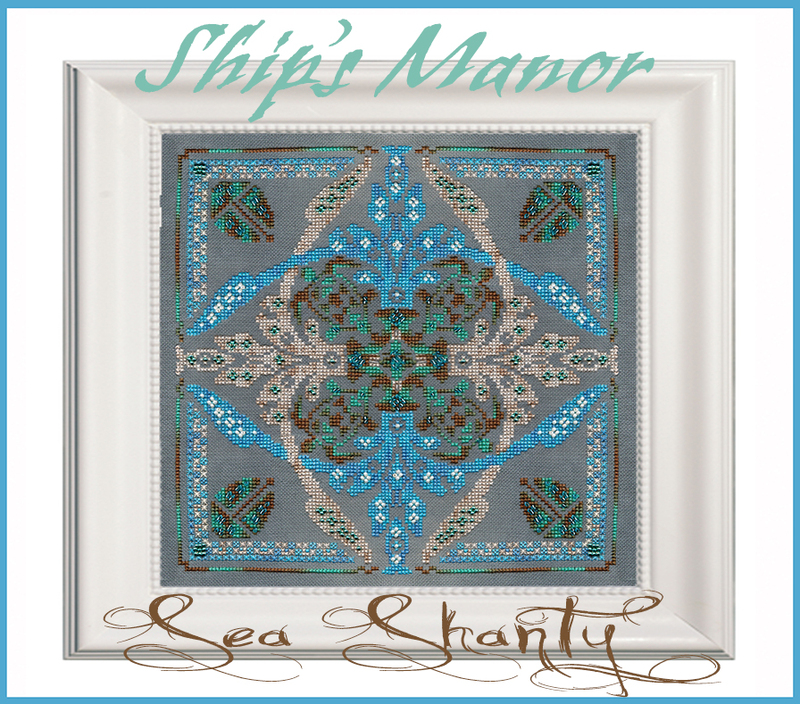 The fabric used for the model is 32 Count Jobelan 'Silvery Moon' by Ship's Manor. PDF Pattern. Stitch Count: 129x93 Model stitched on 32ct. Belfast Opal "Pink Sheep" fabric by Ship's Manor. Thread is mostly DMC with one skein of Merman thread by Ship's Manor. Also uses Kreinik Metallics and Mill Hill Beads. 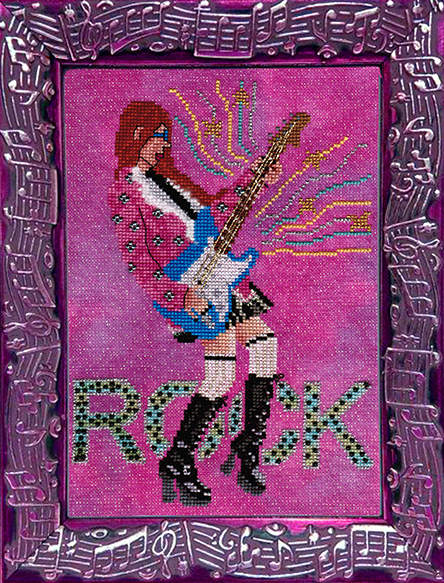 Mistress Mary is stitched with silk on 32ct. Abracadabra fabric by Ship's Manor. You can purchase the silk pack here or we also offer a cotton pack that closely matches the silk. Six (6) full skeins of thread for each pack. stitch count is: 109x109. 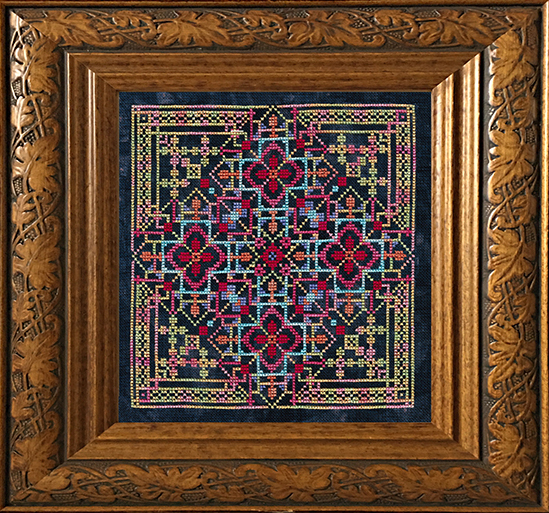 A 13x18 32ct. piece of fabric will be perfect for it. Abracadabra can be found on our fabrics tab.